When I was just a little girl I would go with my mom and grandma to place flowers on the graves of our family members. 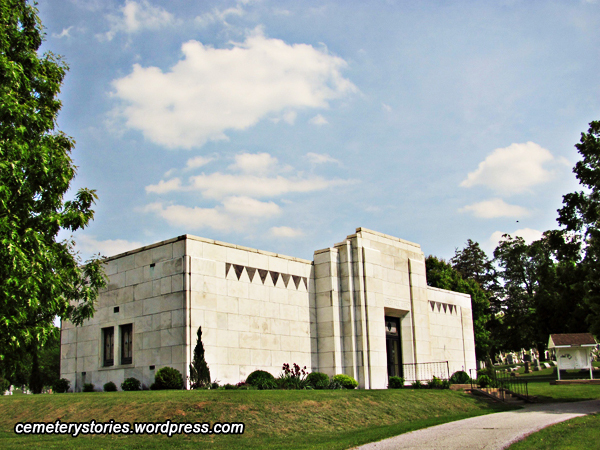 We always visited two cemeteries, Mount Pleasant Cemetery in Hall, Indiana and Forest Hill Cemetery in Greencastle, Indiana. For years I walked around these two cemeteries without knowing anything about them. It wasn’t until very recently that I learned about the murder of Pearl Bryan, who is buried in Forest Hill Cemetery. Pearl was a young woman, only a bit older than I am right now, who is said to have been very popular and attractive in the Greencastle area. She met a man named Scott Jackson through a cousin, which eventually led to an intimate relationship. It was only after Scott had packed his bags, moved to Cincinnati, and broke off their relationship when Pearl found out she was pregnant. Scott wanted to break off all contact with Pearl, so when he found out she was pregnant he told her that he had made arrangements for her to get an abortion. That was when Pearl told her parents she was going to Indianapolis and headed to Cincinnati instead. When Pearl reached Cincinnati, Scott introduced her to Alonzo Walling. Witnesses claimed seeing the three around town, including a violent argument between Pearl and the two men. A few days later, Pearl’s headless body was found in Kentucky. There was evidence of botched abortion attempts, as well as cocaine in Pearl’s system. She had been decapitated by dental tools, and her head was no where to be found. She was identified by her shoes, which were traced back to a store in Greencastle. Scott and Alonzo were tried in 1897 and sentenced to death. They never revealed what happened to Pearl’s head, even though they were offered life sentences instead of death for the information. There’s lots of rumors about what they did with her head, including using it for satanic rituals, but no one really knows since it was never found. Pearl was buried in Forest Hill Cemetery without her head. Due to the controversy surrounding her death, her grave became a sort of tourist attraction. Visitors would chip away pieces of her headstone and it was eventually removed due to vandalism. All that is left of her marker is the base, where visitors leave pennies, head face up, so that Pearl won’t be headless. Some people also claim that they see Pearl’s ghost, sometimes headless, sometimes not, in the cemetery. Pearl is also thought to haunt Bobby Mackey’s Music World, located close to where she was murdered in Kentucky. If you wish to visit Pearl’s grave, Forest Hill Cemetery has posted where it’s located on a billboard in front of the mausoleum. Pearl is buried beside other Bryan’s, so make sure you have the right grave, since I’ve seen another marker people have mistaken as Pearl’s.